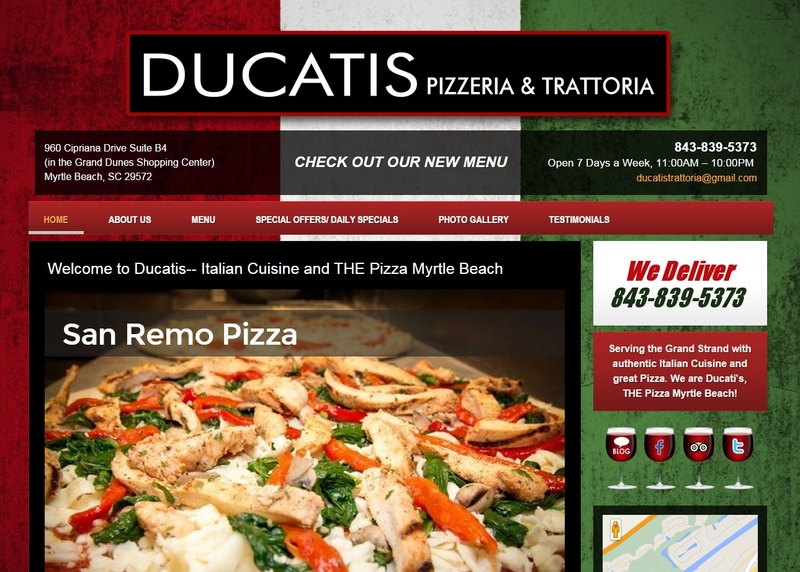 Ducatis Pizzeria & Trattoria is Myrtle Beach’s hidden gem in the enormous Italian restaurant scene in Myrtle Beach, SC. 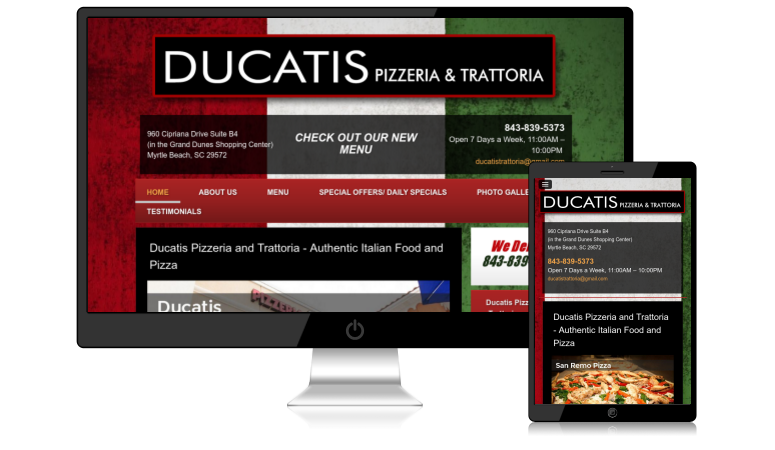 Ducatis offers fine Italian dining in an idealistic restaurant setting. Ducatis Pizzeria & Trattoria has all of the facets of quality family dinner, a romantic date night or a group after a long day on the job or on the golf course.